Mark Lowcock, UN Under-Secretary-General for Humanitarian Affairs and Emergency Relief Coordinator, warned of the "worst humanitarian catastrophe" of the century as more than 30,000 people have been internally displaced in the Syrian province of Idlib ahead of a planned offensive by the country's government. But the United Nations chief said it is especially important that Iran, Russia and Syria - the guarantor states in the so-called "Astana process" aimed at ending the violence in Syria - "find a way in which it is possible to isolate terrorist groups and ... create a situation in which civilians will not be the price paid to solve the problem in Idlib". Syria's regime and Iran have been building up their forces around Idlib province, the last stronghold of the rebels with fears an assault on the region is imminent. In the newspaper article, Erdogan called on the global community to take action, and warned that "the entire world stands to pay the price" otherwise. 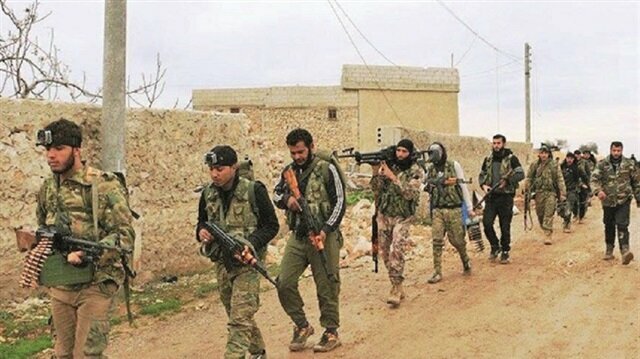 Syrian FM said the goal of this operation is to wipe out the jihadist groups in Idlib and the worldwide actors must recognise that effort as Syria's independence right. Idlib faces "the worst humanitarian catastrophe" of the century, the United Nations warned on Monday. For weeks, regime troops backed by Russian Federation and Iran have massed around Idlib's periphery, with deadly air strikes, shelling, and barrel bombs falling with increased intensity in recent days. "That's something we're monitoring very closely", OCHA spokesman David Swanson told the AFP news agency. The US Ambassador chairs the rotating UNSC presidency for September. Unlike many other news organizations, we have not put up a paywall. Russian Federation hopes for a peaceful resolution of the situation in Syria's rebel-held province of Idlib but believes it is up to Turkey to separate Islamist militants from the moderate opposition, Russia's Syria envoy said on Tuesday.